San Diego’s technology industry is among the most diverse in the nation, a key factor in the region’s economic rebound, the National University System Institute for Policy Research announced Tuesday. As measured by employment and payrolls, San Diego rates highly in seven tech sectors — biomedical products, biotechnology and pharmaceuticals, communications equipment, computer and electronics, defense and transportation, environmental technology, and recreational goods, compared to other U.S. cities, according to the NUSIPR study. A new study says the local technology sector is leading San Diego’s jobs recovery. 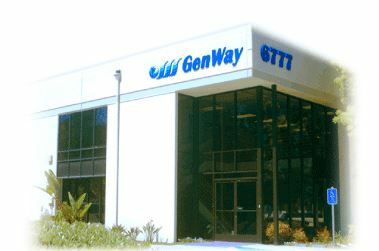 Photo courtesy of GenWay Biotech Inc. web site. San Diego was not as strong in the software sector. Only Boston and San Francisco are as diverse as San Diego, the authors said. By comparison, Los Angeles is strong in computer production and design but not other areas, while San Jose — part of the Silicon Valley — is exceptionally strong in computer and electronics but below average in other sectors. Cunningham said technology sectors have seen significant increases in employment and wage growth, and while the number of tech jobs did not decline nearly as much as the rest of the regional economy during the recession, they rebounded more strongly. By the end of 2013, technology jobs exceeded the previous high mark and continued to grow, while overall private employment had not quite yet returned to the pre-recession peak, he said. According to the report, San Diego’s tech businesses employed an average of 142,100 workers last year. Payrolls totaled an estimated $15.6 billion during the year, generating $41.4 billion in sales, and directly adding $21.5 billion to the San Diego economy. Also, another 353,400 jobs in the area could be linked to the tech business, accounting for more than a quarter of all jobs in the county, according to the report. Technology industries directly contributed 12 percent of San Diego’s gross domestic product and, in total, accounted for 22.9 percent of all economic activity, according to NUSIPR.